Remojón de lucio - Turismo de Íllora - Granada - Descúbrela paso a paso. 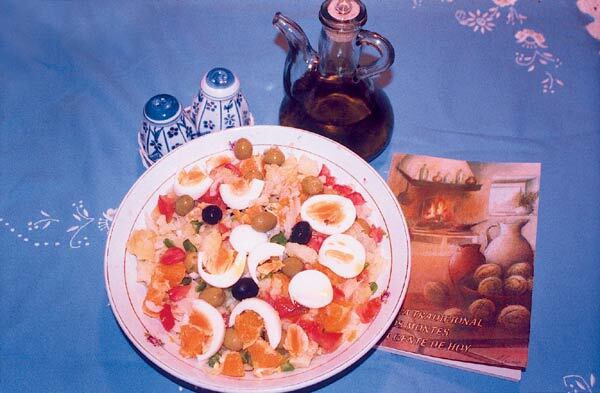 Patatoes must been boiled and cut, you add the eggs cut into slices, the oranges and the tomatoes, the tune fish and the if you want to put some onion you may do that as well. Olive oil, salt and vinagre is been poured over. It is served hot and cold.